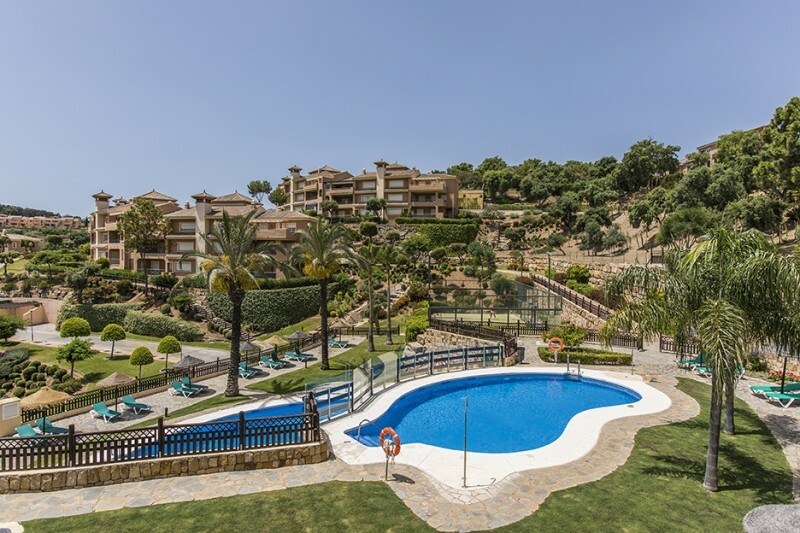 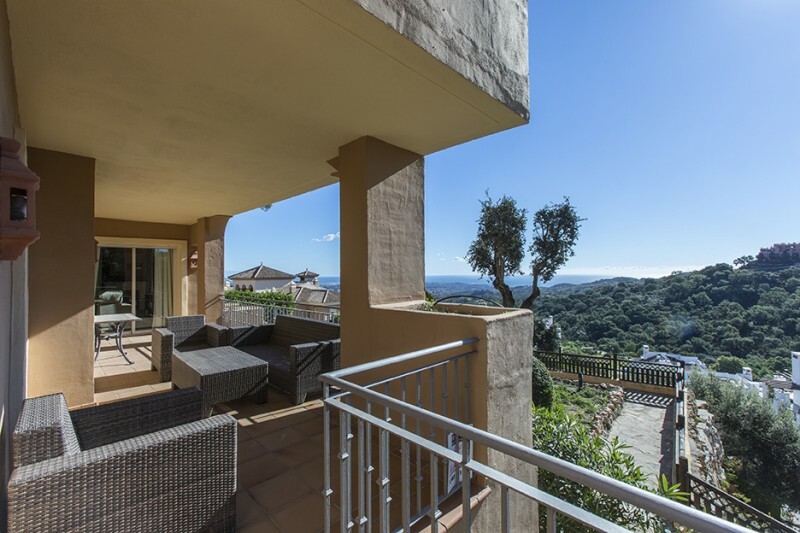 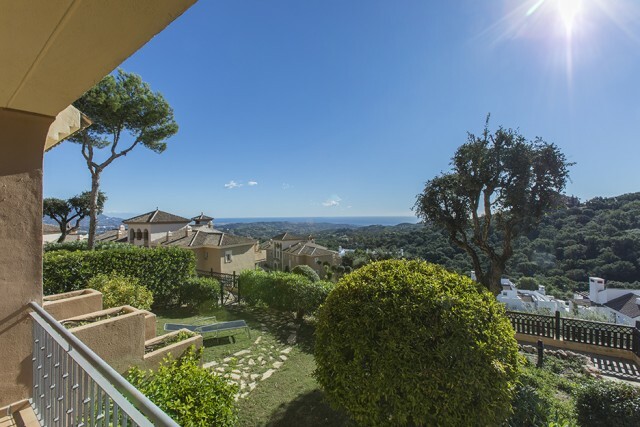 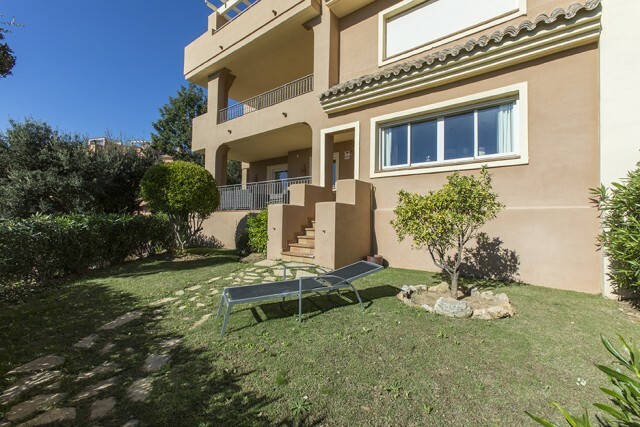 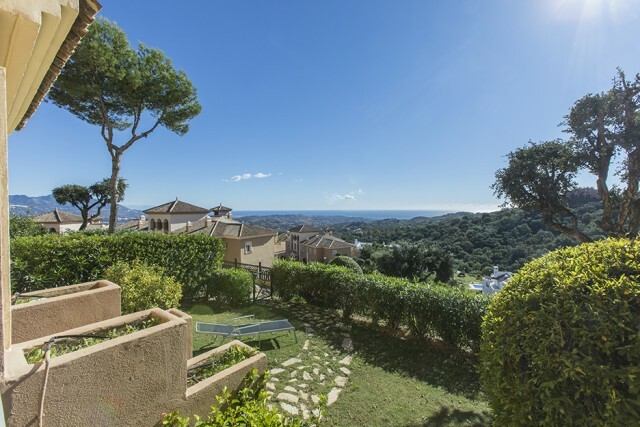 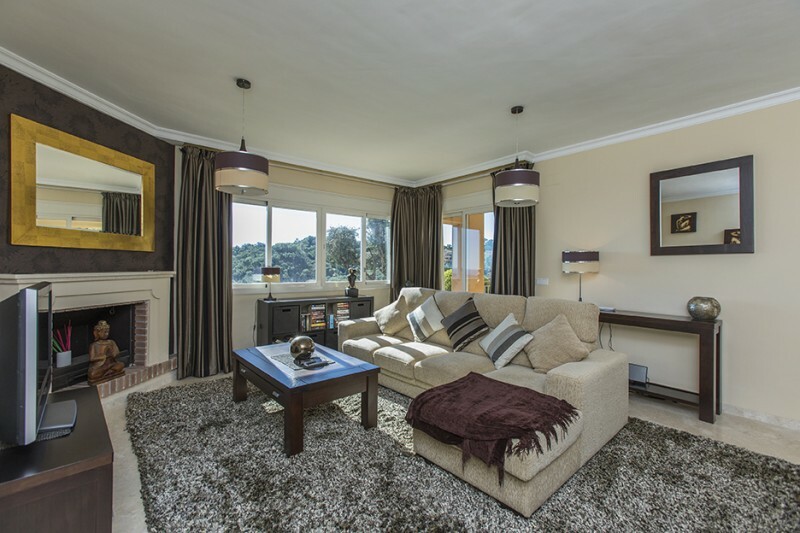 Beautiful garden apartment with stunning panoramic sea views in El Vicario II in La Mairena, Elviria. 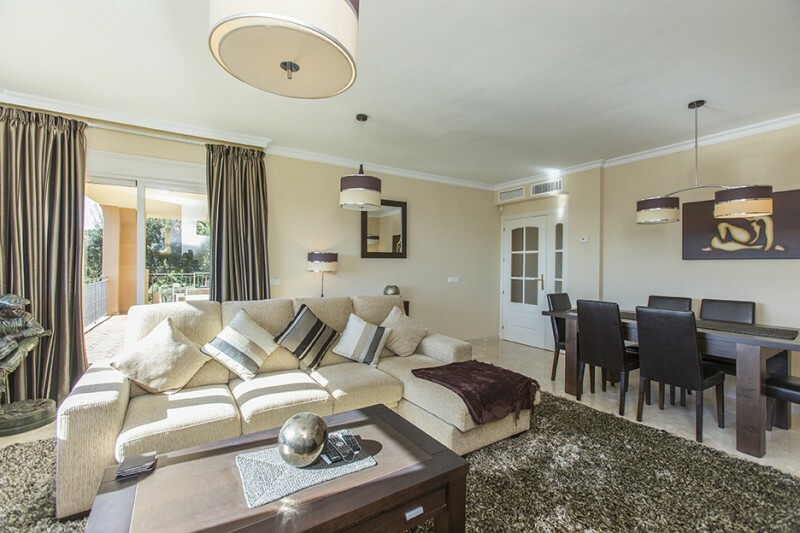 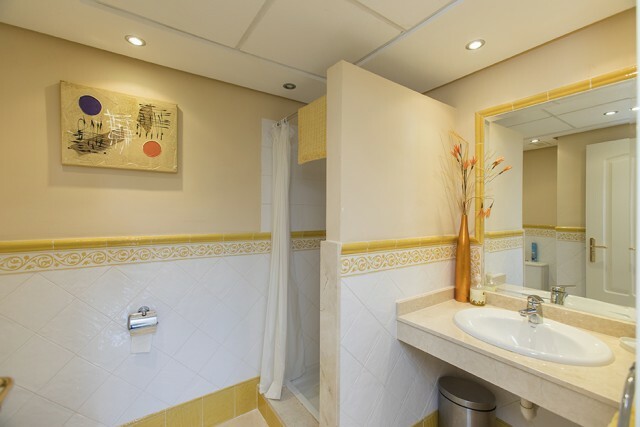 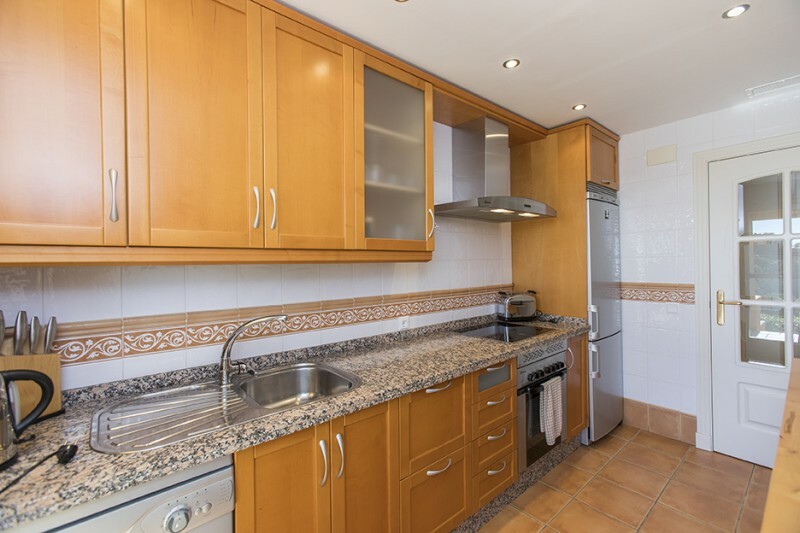 The apartment offers two bedrooms, two bathrooms, walking closet, fully equipped kitchen, large and sunny living room with fireplace and lovely ample terrace with access to the private garden. Carport and Storage room included. 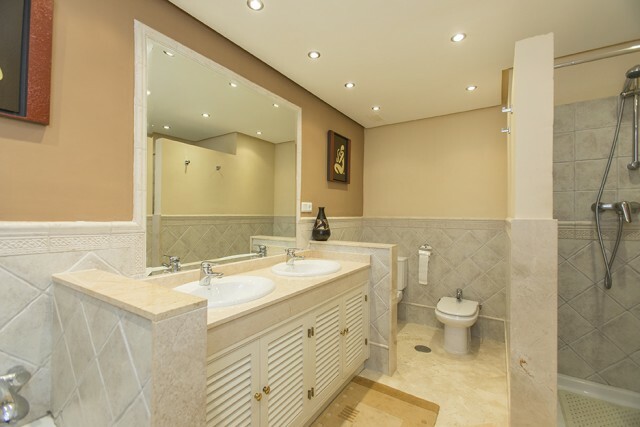 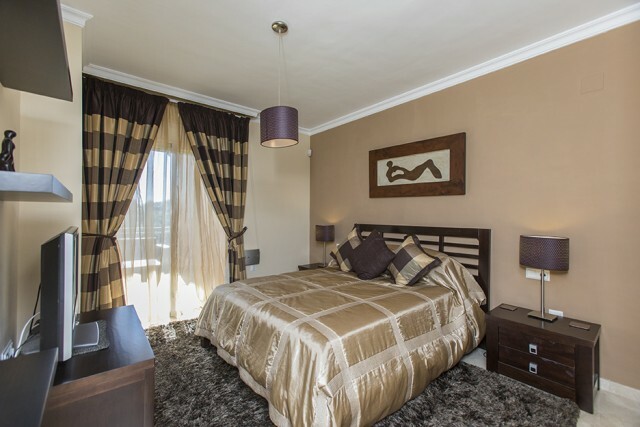 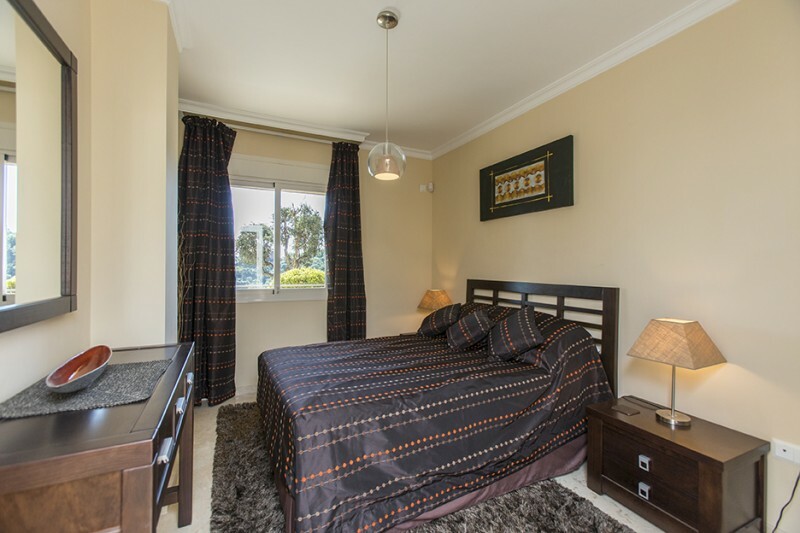 Sold fully furnished and with marble floors, aircon hot and cold. 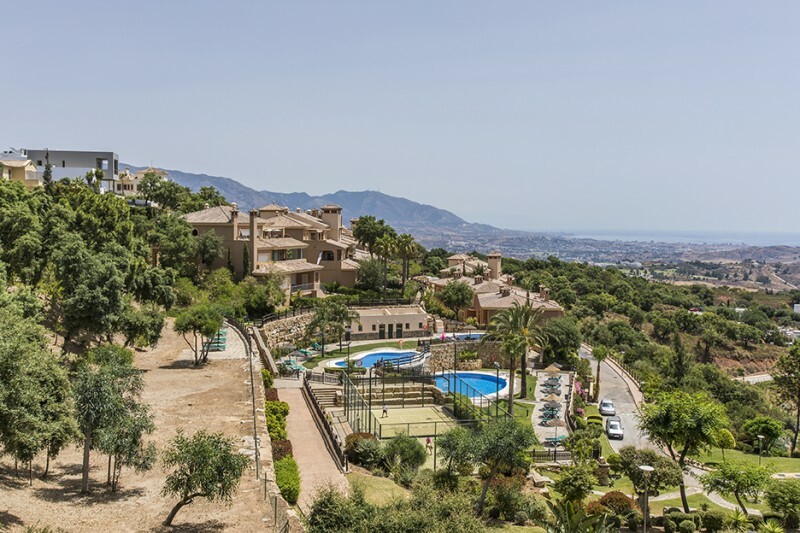 Gated complex with two pools, paddle tennis and communal gardens.